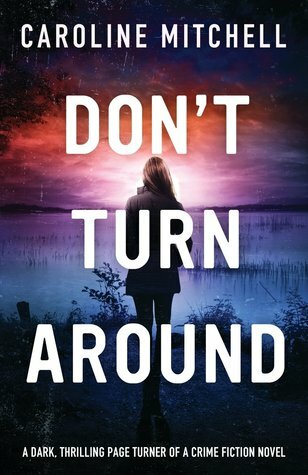 I came across Caroline Mitchell’s writing when I picked up her first book, ‘Don’t Turn Around’, which I absolutely loved, so when I saw this book on Netgalley, I had to request it. Detective Jennifer Knight is on the trail of a serial killer who calls himself Raven. Raven is no run-of-the-mill serial killer, he is guided by dark forces, a tarot card reader and there is a method in his madness which is spine chilling. Jennifer is not just a detective, she has some special psychic powers herself. As the investigation progresses, Jennifer knows that Raven has a target and it is her. Jen has to use all of her powers to protect herself and her family. The second in the Jennifer Knight series, this book does not disapppoint. Another un-put-downable book from Caroline Mitchell. The author keeps the narrative fast and full of suspense. To be honest, I kind of figured it out towards the end, but even that did not detract from the book. A thriller, through and through. I’m not a big fan of paranomal themed books, however, Caroline weaves in the paranormal element so well, that I love them. She builds up the atmosphere of the unknown, the terror and the ruthlessness so very well, I almost don’t want the book to end, even though I’m desperate to know how it all turns out. I have also enjoyed the characters. Jen in particluar is a protagonist, who I end up rootimg for. I know for a fact that I will be looking forward to picking up the next in the series. DC Jennifer Knight had been investigating a routine stabbing in Haven, a quiet, relatively crime free town, when she gets what sounds like a personal message from the grave, referencing her dead mother, Elizabeth. Unable to understand what to make of this, Jennifer continues her normal routine when more killings take place. Jennifer knows, instinctively that there is more than meets the eye. Her own premonitions tell her to dig further. She soon discovers that there is indeed a link. The spate of murders mirrored those of the notorious serial killer who called himself ‘The Grim Reaper’. Her mother Elizabeth had been part of the team which convicted him, and now it looked as if a copycat Grim Reaper was back. Jennifer knew in her bones that it was more than a copycat, this was someone who had a connection to her. The author does a brilliant job, setting the atmosphere. I felt Jennifer’s terror. I found myself wondering if I could hear footsteps in a house where I knew everyone else was asleep. A book that gripped me completely. The character are brought to life beautifully. Jennifer’s troubled, neglected childhood, her relationship with her sister, Amy, her memories of her mother. Frank’s childhood which scarred him for life, little aspects have been explored and well thought out. The characters felt real. I could empathise with what Jennifer was going through. The author has also brought out beautifully how some things are so different from what we perceive from our row of seats in life. For years, Jennifer has an understanding of her mother which was quite different from reality. The extents to which people go, for various reasons, some because of their sick minds, some because they will do everything to save their loved ones. The book, for a paranormal crime thriller, it was so much more than just a thriller, which is the reason I enjoyed this book so much. One of those books, whose blurb I hadn’t read in quite as much detail as I should have. However, I have to say, I’m glad that it didn’t disappoint me at all. If anything, it made the book even better for me. A book I would recommend, but if you are wary of paranormal books, then be warned, this one has plenty of it. Having said that, in normal circumstances, I’m not too fond of paranormal books, but this book was one I would recommend. First in the series, I’m quite looking forward to reading the next one, when it comes along. So, have you read this already? How did you find it? I came across this book on Cleo’s blog. Her review intrigued me enough to get hold of this book. Thank you Netgalley and the publishers for the review copy of this book in exchange of an honest review. A box addressed to Captain Edgar Stephens is found in the Left luggage section of the Brighton Railway Station. It contained a body of a girl cut in three, reminiscent in an extremely gruesome way of a magic trick Edgar had once known. Edgar had been part of a secret mission during the War called the ‘Magic Men’, one of whom, Max Mephisto was the creator of this trick. Edgar was still in touch with his old friend Max, who had gone back to his life in the show business. All his efforts to involve Max to help solve the case falls in deaf ears, as Max didn’t want to get entangled in the world of uniforms, until Max discovers the identity of the girl who died. Another murder follows and it becomes very clear that the murders are definitely connected to the Magic Men, and Edgar and Max have very little time to find out who is behind this. The plot gets more and more intriguing as the mystery deepens, murders pile up and we follow Edgar and Max into their past, to the time when the Magic Men were active. The time when they had been tasked to trick the Germans into believing that the Allies had more resources and better protected than they actually were, using illusions and magic. All the Magic Men had to be tracked down if they had to get to the bottom of the case. We follow Edgar and Max as they track down their motley crew of show men and army folk who came together in a secret mission. The most unlikely of people to be part of a team, but which of them were the reason for these murders, if not actually responsible for them? An interesting murder mystery, an old fashioned one, set in 1950s, with lots of reference to the War times, it was a charming read, which can’t often be said of a murder mystery. The characters were so well drafted. You can’t help love Edgar Stephens. Max, the world-weary, hardened magician was charming in his own way. Each of the characters had depth and nuances that added to the story. A fast-paced read, with the final unexpected twist that takes you by surprise. 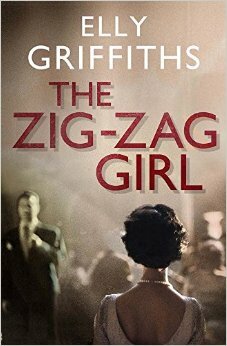 I haven’t read Griffiths before, and this was a really good introduction to her writing. I haven’t read this genre in a while and was fun to revisit. I am now tempted to check out other books by the author. The author meant this book to be a tribute to her grandfather, and I have to say, it is a great one. She has brought out the flavour of those times so beautifully, you can’t help be transported to the post war Britain. A 4/5 read for me. A book I would definitely recommend. 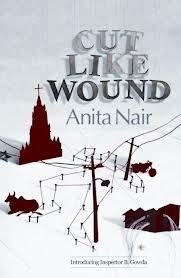 I’ve always liked Anita Nair’s writings, and this book that has been on my wishlist for a while. I knew I just had to read it when I saw Wanderlustathome rate it highly on Goodreads. A young male prostitute is found murdered and burnt in one of the many alleys in Shivajinagar in Bangalore. 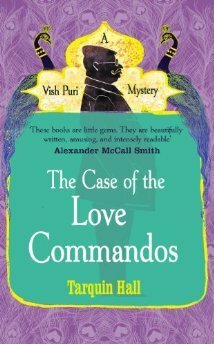 The case lands on the desk of Inspector Gowda and his new subordinate, SI Santhosh. Gowda is distracted, with personal issues crowding him. Not the most social person even normally, Santhosh finds him even more grouchy and grumpy than he expected. As they start investigating, they realize the case is more complex than they thought initially, it has all the indications of being a serial murder. The only clue they have is the modus operandi and a solitary pearl earring that they found on one of the victims. They have to use all their investigative skills and intuition to solve the case, while fighting bureaucratic bosses along with clever criminals. A page turner, it is a wonderful book. I especially like the flavour of Bangalore that comes through so strongly in the book. It was like Bangalore was another character in the book, genteel and sophisticated at times, seedy and shady at others. Anita Nair’s writing reminds me of Elizabeth George’s crime books. Complex crimes, beautifully interwoven snippets of local life, and complex characters, interesting, and different practices, it was a very interesting book to read. 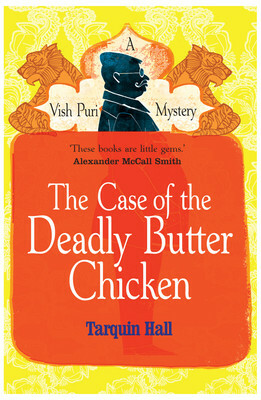 I had an inkling of who the murderer might be, and yet the ending was very impressive. A book that I enjoyed till the last page. Since this book ‘introduced’ Inspector Gowda, I, for one, am looking forward to more of Inspector Gowda thrillers from the author.